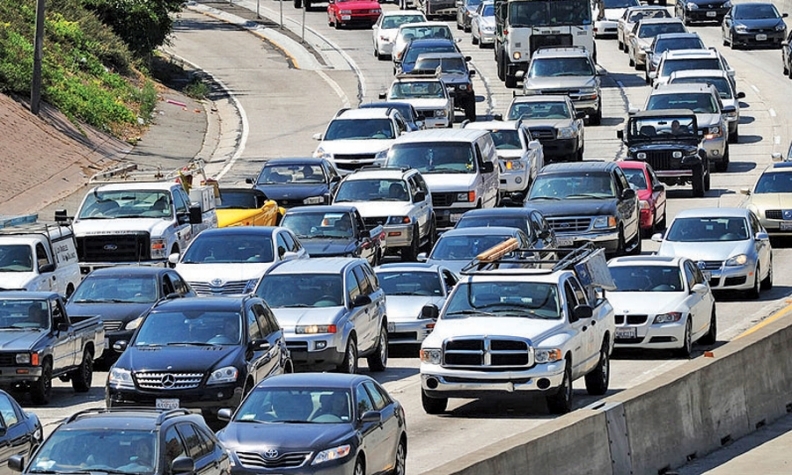 Hawaii may be paradise for vacationers, but it's hell for commuters, a study says. Honolulu had the worst traffic congestion of any U.S. city in 2011, according to an annual study released by Inrix, a Kirkland, Wash., company that provides traffic data to navigation systems. The study's good news -- actually, it was bad news -- is that traffic was less congested than it was in 2010 -- a sign that the economic recovery didn't gain a firm foothold in 2011. "In America, the economic recovery on Wall Street has not arrived on Main Street," Inrix CEO Bryan Mistele said in a statement. "Americans are driving less and spending less, fueled by gas prices and a largely jobless recovery." Congestion was down 30 percent in 2011, according to an Inrix formula that measures the time it takes to get where you want to go. According to Inrix, 70 of the 100 most populous cities in the United States had less traffic congestion last year. Los Angeles dropped from the No. 1 spot last year to second, followed by San Francisco; New York; Bridgeport, Conn.; Washington, D.C.; Seattle; Austin, Texas; Boston; and Chicago.